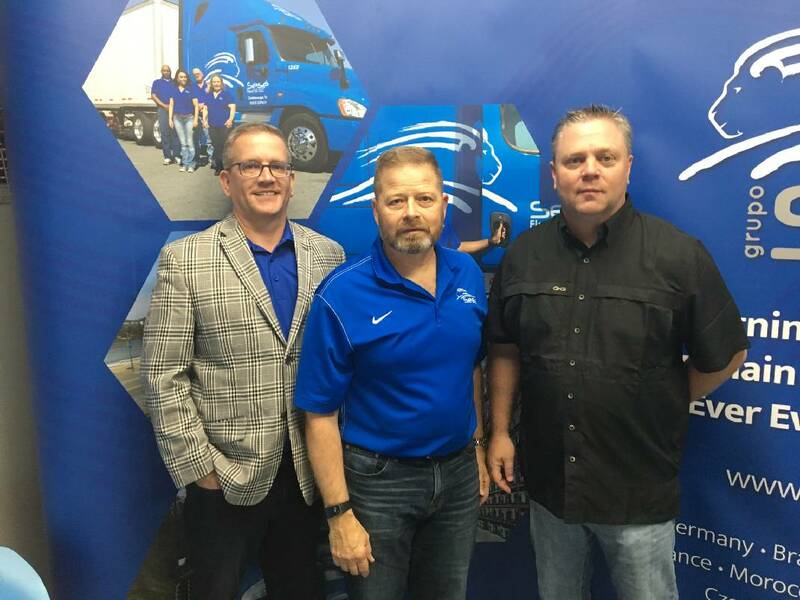 From right, Charles Oeleis, chief executive officer, Randy Leach, chief operating officer and Jim Thibault, chief technology officer for Sese Logistics. Grupo Sese came to Chattanooga in late 2012 to serve the U.S. assembly plant for Volkswagen, which is one of Sese's biggest customers among its major freight customers in Europe. But Sese Logistics is eager to drive more than the automotive market from its North American hub in Chattanooga. The company moved into a 60,000-square-foot office and warehouse in Ooltewah this summer and, after doubling its U.S. operations to about 110 employees in the past year, is looking to double again within the next couple of years. To expand the Spanish trucking company in North America, Sese has tapped a team from America's biggest freight hauler, UPS. Last year, the company hired Charles Oeleis, a 25-year trucking industry veteran who previously was director of global accounts for United Parcel Service and head of business development for Carlile Transportation Systems. Oeleis, the first North American chief executive for Sese, brought a veteran team of former UPS managers to build the business from its office and warehouses in both Chattanooga and San Antonio, Texas. The team includes Randy Leach, a 39-year UPS veteran who is chief operating officer for Sese Logistics in North America; Jim Thibault, a 30-year UPS veteran hired as chief technology and innovation officer, and Finn Melgardshagen, a 30-year UPS veteran who is chief commercial officer at Sese Logistics. The chief financial officer for Sese Logistics is Becky Creswell, who previously was plant controller at QPR and a divisional controller and fixed asset manager at Covenant Transportation. "My goal as an organization is to get the right leadership with the right skill sets and the right personalities to run the organization," Oeleis says. "I'm a big believer in growing an organization behind people and the culture you build for people, and I believe I have the best global leadership team in the industry. Our goal is to grow out in Chattanooga, not only for our transportation piece of the business but also with our distribution and warehouse."